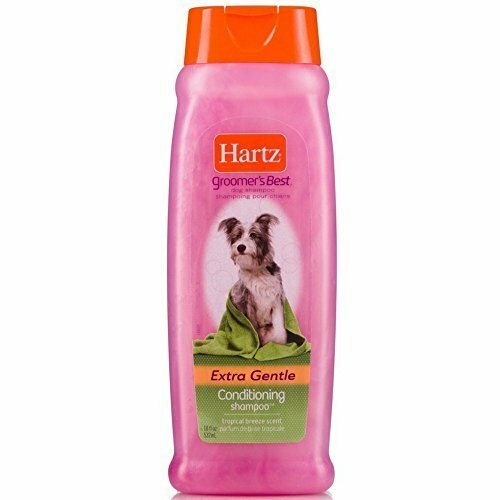 Hartz Groomer's Best 3 in 1 Conditioning Shampoo. For dogs thoroughly cleans and leaves coat silky and shiny. Panthenol detangles , adds shine and moisturizes skin and coat. Saturate coat with lukewarm water and massage a small amount of shampoo into the dogs' coat. Rinse coat with lukewarm water. Towel dry and gently brush coat.